Delivered to U.S. Army Air Force as 43-27712, 19??. 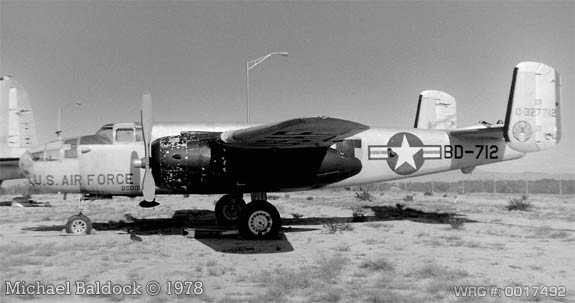 - Displayed at Davis-Monthan AFB, Tucson, AZ, 1965-1969. Pima Air & Space Museum, Tucson, AZ, October 1969-2015. - On loan from United States Air ForceM. - Displayed as 0-32712/T-180/The Spirit Of Al Penn.